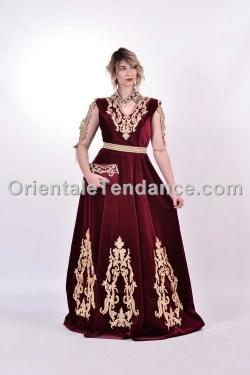 Pretty Algerian dress with satin sheen. Short sleeves with shoulder pads. The dress and hem are adorned with hand-stitched embroidery.